My elegant home is very spacious for 4 persons (66 m2), decorated with thoughts and best quality to grant you a perfect stay. It is equipped with everything that you ever need - like your home abroad. Everything is just renovated and modernized. Very comfortable for 4 persons. Check more details in the layout. Supermarket is on the other side, city trains and buses are just at a short walking distance. 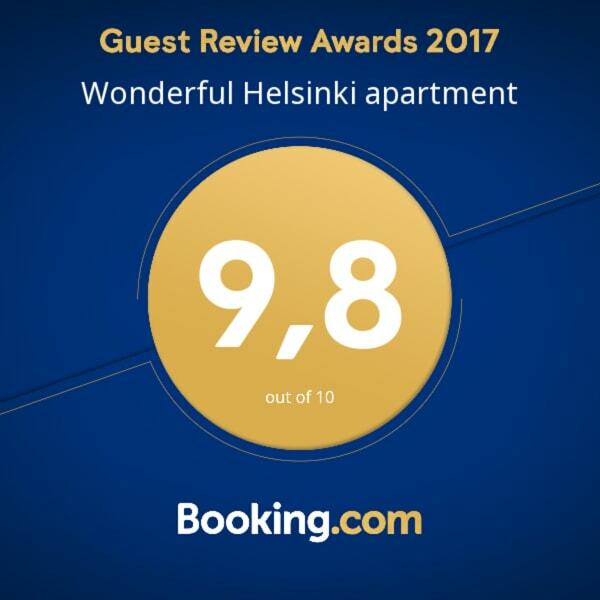 The location is great for all sorts of attractions in Helsinki. Wifi and private parking included. No party, smoking only on the balcony. Interested in more accommodations around Pohjois-Haaga?